Ben Couch, FullCircle’s Production Manager, has worked in arenas and stadia for big names like Robbie Williams and Ariana Grande, as well as having an extensive portfolio of corporate clients. His unique experience of small, medium and large scale events means he knows the tricks of the trade on how to make these types of events both memorable and engaging. Ben works hard to meet the needs of attendees, client and sponsors. 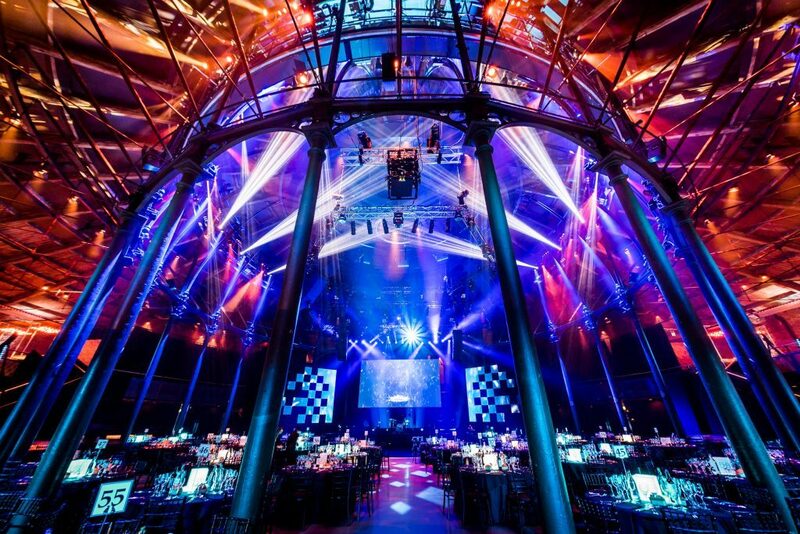 Read Ben’s ‘essential’ guide to add that extra touch of pizzazz to your awards event. Video has always been one of the best ways to engage and enliven attendees. Ben has three interesting ways to integrate it into your event. 1. Make sure your event theme and branding is always present with the use of projection mapping. Intriguing video animations, textures, brand logos and text can be projected onto simple white tablecloths which can become fully interactive if required, to really grab the audience’s attention. 2. Combining wide screens and digital banners can produce a stunning and unique visual effect, amplifying the event theme and message, ideal for incorporating sponsors, brands and backdrops. 3. Bring live entertainment and production together in new ways by using live musicians to perform stings for stage walk-ons and walk-offs. By adding lights and LED video content, these live stings heighten the experience for winners going on stage and the whole audience. Lighting is fundamental to setting the atmosphere at awards ceremonies. 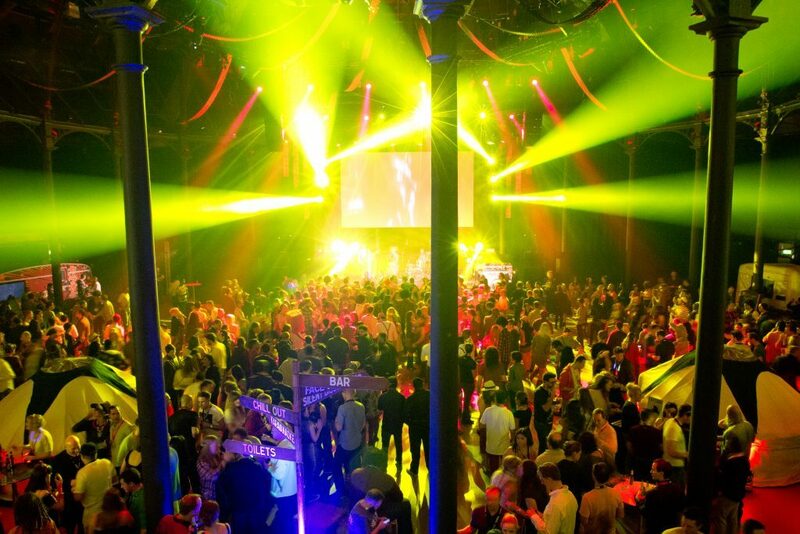 Here are three ideas to make your event pop! 1. Titan Tubes. These tubular lights can be used to build programmes using colours and effects, and can be programmed to music for a stunning sound and light experience. These lights are perfect to heighten the beats from a sting or rhythm of the DJ at an afterparty. 2. Laser effects. Syncing laser effects to a live performance or pre-programmed piece of music creates an atmospheric spectacle. An attendee’s overall experience can be elevated by impactful and effective use of light and sound. 3. Moving lights. These are essential for any awards ceremony. Digitally controlled motors allow for a variety of light movement around a venue. When you combine moving lights with bespoke singular or multiple gobos they can create unique and textured effects to wow audiences. 1. Indoor pyrotechnics are a great addition to an event. 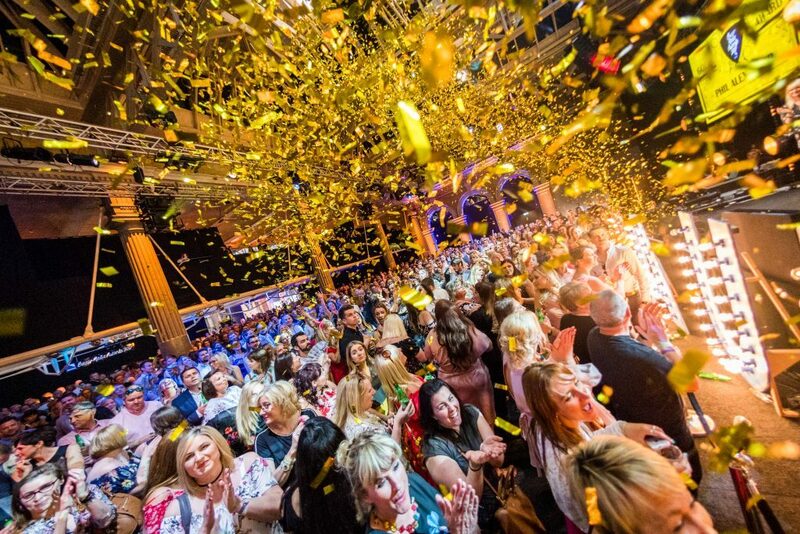 Pyrotechnics can be ruled out over Health and Safety concerns or venue restrictions, but FullCircle have a solution to make sure your party goes off with a bang. ‘Sparkular’ is a new cold spark fountain machine where the sparks themselves are not flammable. This non-hazardous machine enables an audience to safely enjoy an impressive display in close proximity and is transforming the pyrotechnics market. Why not try it at your next event? 2. The use of confetti or glitter cannons can create a spectacular and unexpected cascade of amazing colour across your audience. By strategically positioning a single cannon or multiple cannons they can be set off simultaneously for 360 coverage. 3. Ben’s last suggestion is to create a fantastic finale to your event with a playful and visually stunning balloon drop. Customise the balloon size, shape and colour to best represent your brand. If you would like more expert advice or to see how we can transform your event get in contact today.